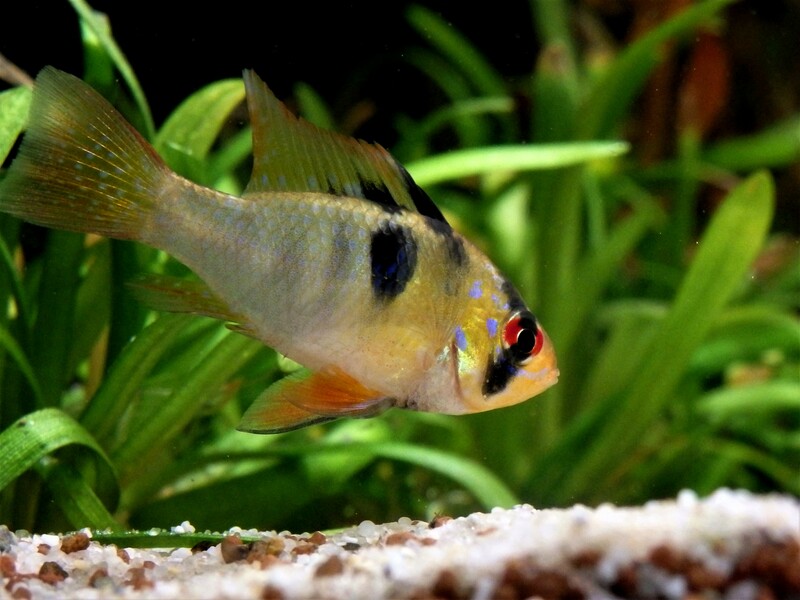 Blog Biotope Aquarium 101: An authentic Rio Meta biotope for Ram Cichlids & more! 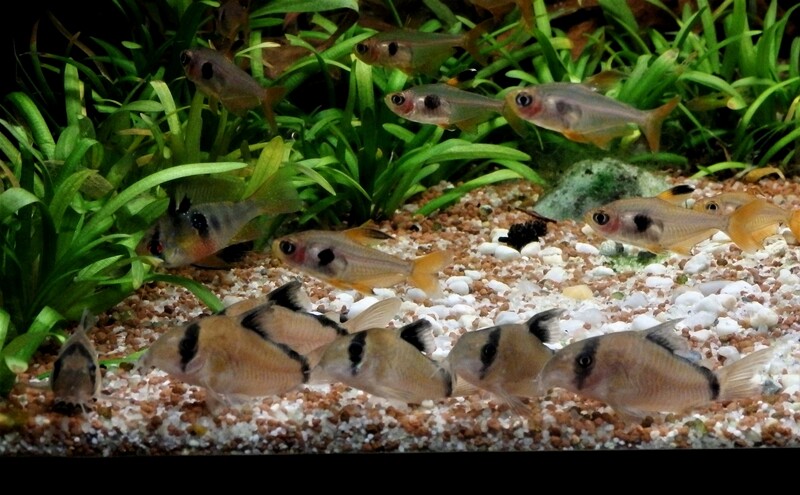 Biotope Aquarium 101: An authentic Rio Meta biotope for Ram Cichlids & more! The Rio Meta is a whitewater western side tributary of the Rio Orinoco which traverses through eastern Colombia. It’s source originates in the Cordillera Oriental (also known as the Eastern Ranges), the most sizeable branch of the Colombian Andes. 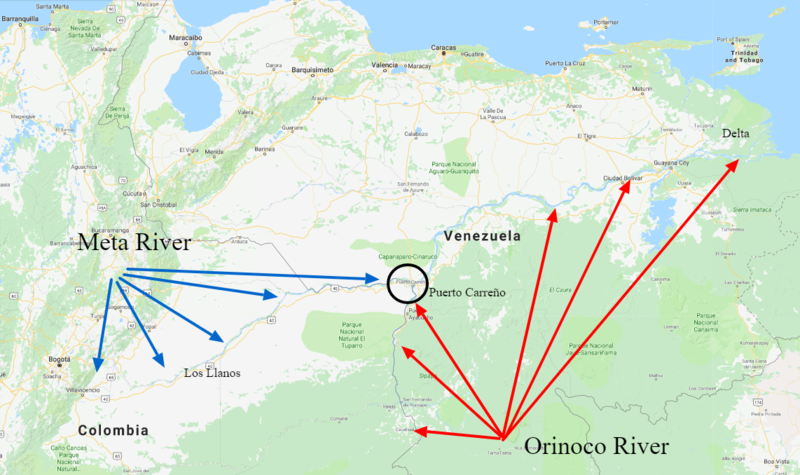 It travels right across the region of Orinoquia and Los Llanos Orientales (the Eastern Plains) where it forms the Meta River Plain and moves into southern Venezuela at Antioquia, where it begins to form the border between the two countries. It forms it confluence with the Orinoco River at at Puerto Carreño. The waters eventually culminate at the Orinoco delta releasing vital nutrient-rich sediment into the Atlantic ocean just south of Trinidad & Tobago. Interestingly, the Rio Meta forms an ecological divide in the Colombian Llanos which results in two contrastingly different environments. The western or left side receives rich sediment from the Andes which results in very nutrient-rich tributaries and soils; it is a more humid environment. 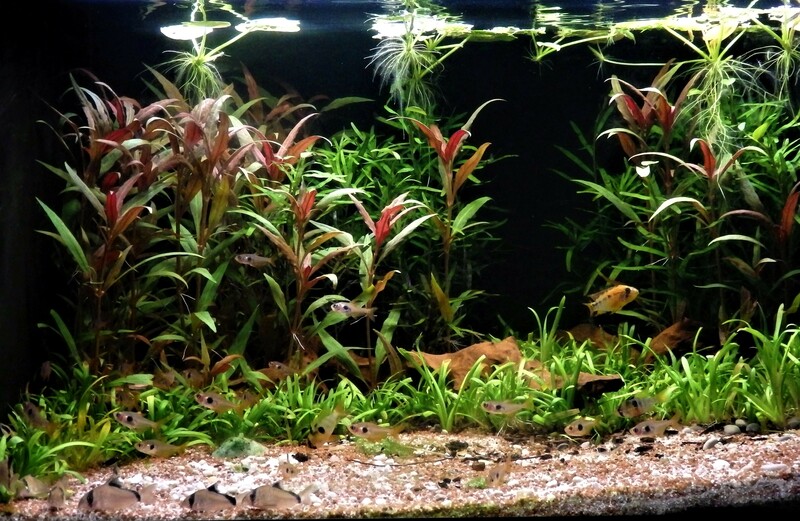 The eastern or right side drains away from the Meta towards the Orinoco and so the habitat has poor nutrient availability with a longer dry season and is much more oligotrophic in nature; so, although relatively rare in the area I am replicating, this biotope is based on a clear-water habitat. 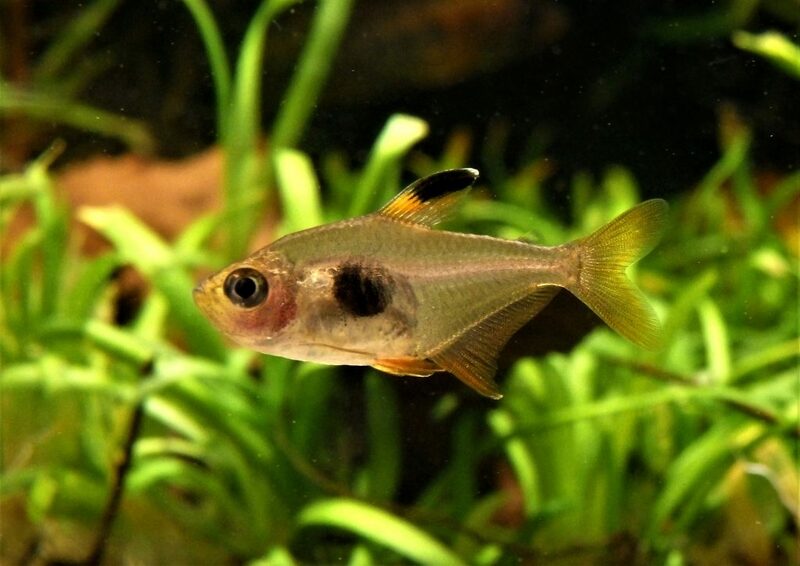 Suitable inhabitants for this biotope aquarium are Hyphessobrycon sweglesi, Nannostomus eques, Nannostomus marginatus, Copella metae, Moenkhausia sp., Hemigrammus sp., Aphyocharax erythrurus, Astyanax metae, Thoracocharax stellatus, Iguanodectes spilurus, Apistogramma viejita, Mikrogeophagus ramirezi, Corydoras metae, Corydoras cf. mellini, Otocinclus sp., Rineloricaria sp., Ancistrus sp. (hoplogenys type) among others.. The substrate I used is mainly fine sand and I have included some dark grained aggregates and some fine gravel that would be typical of many streams draining the eastern slopes of the Andes. I have added some small pieces of old driftwood to create awareness of the fact that in the habitat many trees have been cut down; there are also some rocky areas in this region, but I have opted not to use rocks in this biotope tank. Water is transparent. Temperature is 26-28°C. pH 4,5-6,5. Conductivity never really higher than 100 µS/cm.